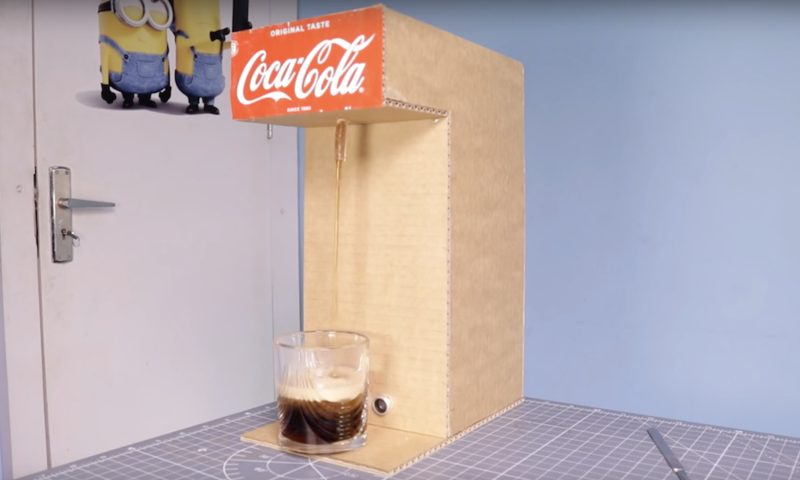 If you’re ever wanted to make something awesome, but thought that you just didn’t have the right tools to do so, this soda fountain by “The Wrench” could provide the needed inspiration. 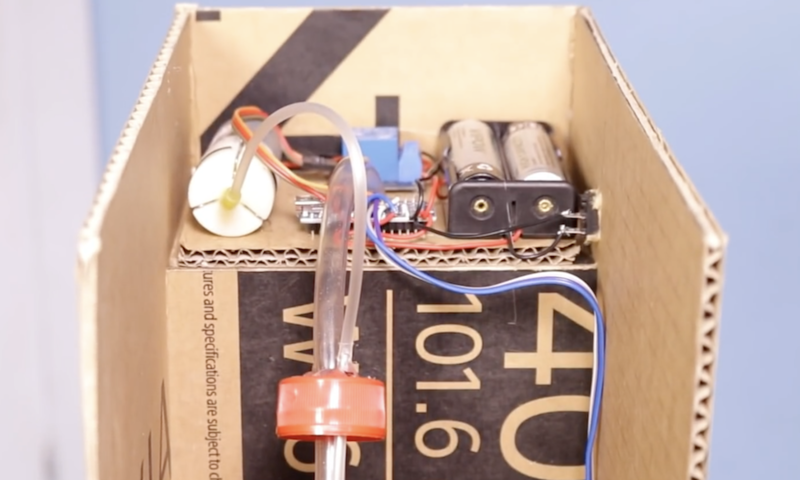 The project uses an Arduino Nano to control a small air pump via a relay, which turns on when a glass is the correct dispensing position. This pushes air into a sealed soda bottle, and soda is pushed out of another tube to equalize the pressure. It’s a certainly a neat trick. Given its frame made out of cardboard stuck together with hot glue, the raw materials are very easy to obtain and dispose of when needed. The build process is explained in the video below, while the circuit diagram and Arduino code can be found here.